Crazy Rich AsiansChina Rich Girlfriendcrazy rich asians Movie News warner bros. 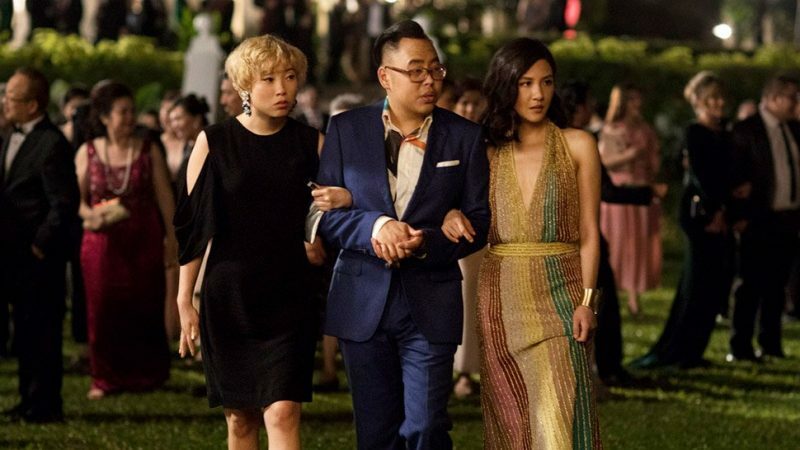 Following the large critical and commercial success of Crazy Rich Asians Warner Bros. is thinking ahead and developing two sequels to the film with plans to film them both back-to-back, according to Deadline (via Collider). Shortly after the release and immediate success of the first film, Warner Bros. ordered one sequel based on the source novel’s sequel, China Rich Girlfriend. Now it’s been confirmed that not only has the studio also ordered an adaptation of its sequel Rich People Problems, but that because of the busy schedules from the ensemble cast, filming on the movies will most likely not commence until 2020. The script is currently still in the works for the sequels from Adele Lim and Peter Chiarelli, who penned the script for the first film, and director John M. Chu, who is shooting the film adaptation of In the Heights, will return alongside the majority of the film’s cast. The film, which has just nabbed two Golden Globe Nominations for Best Motion Picture – Musical or Comedy and Best Actress in a Musical or Comedy for star Constance Wu (Fresh Off the Boat), was a huge success upon release, receiving widespread acclaim from critics and audiences alike and grossing over $230 million worldwide at the box office. Based on the book of the same name by Kevin Kwan, the story of an Asian-American professor travelling with her boyfriend to Singapore and discovering his family is one of the richest in the country resonated with fans thanks to a combination of a smart screenplay, grandiose production design and the performances of its ensemble cast, all of whom find themselves in high demand as Wu was included on last year’s “Time 100” list of most influential people in the world, Henry Golding (A Simple Favor) working on Guy Ritchie and Paul Feig’s next projects alongside co-star Michelle Yeoh (Crouching Tiger, Hidden Dragon) and Awkwafina (Neighbors 2: Sorority Rising) recently starring in the heist spin-off Ocean’s 8.